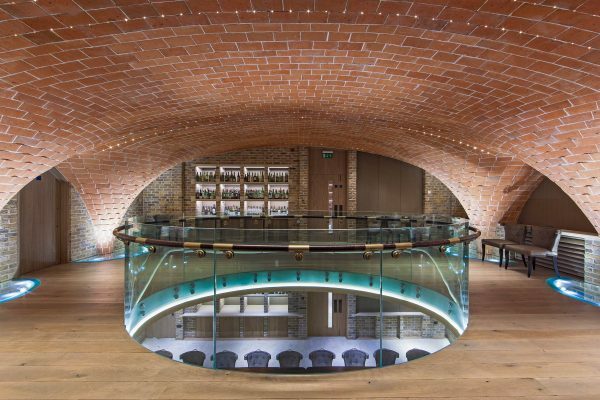 Our project for wine merchants Berry Bros & Rudd is located in the St James’s Conservation Area within the City of Westminster on a very tight and sensitive urban site, surrounded on three sides by four Grade II* listed buildings. The proposal is effectively split into two distinct parts. At Ground floor and above the scheme provides 10,000sq. 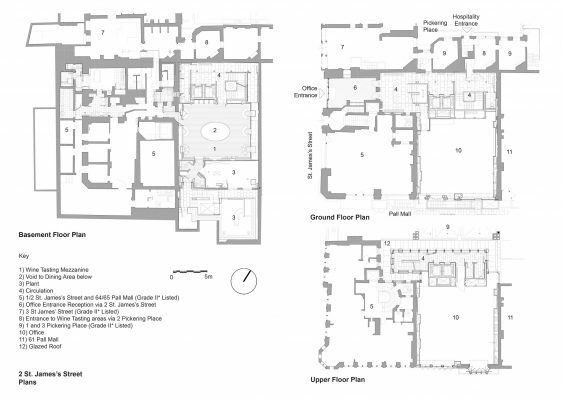 ft of lettable office floorspace whilst below ground level the new & refurbished basements extend and enhance BB&R’s existing Hospitality and Wine School facilities. The architects have orchestrated the subtle resolution of an architectural puzzle of unusual complexity culminating in several well hidden but spectacular jewels. 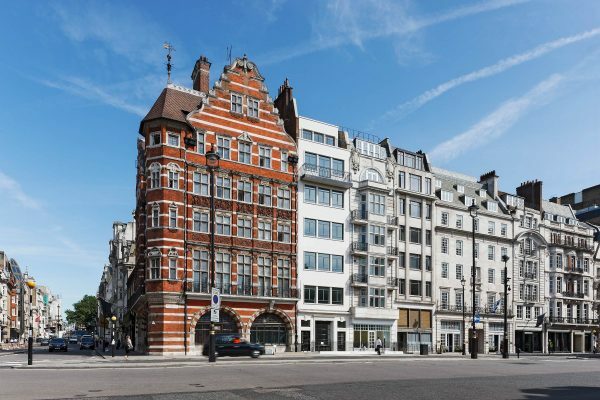 The office is accessed from St James’s Street, through a re-configured shopfront of Richard Norman Shaw’s Alliance Assurance Building, 1881. 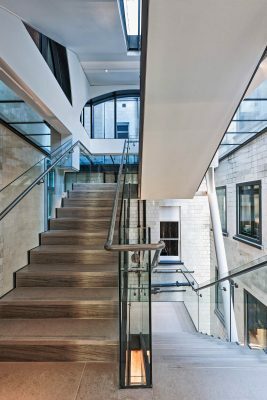 Upon arrival into this new reception space one proceeds into a three storey circulation atrium – a ‘found’ space uniting the existing white ceramic glazed lightwell of Shaw’s building with the re-claimed rear façade of an early 18th Century Georgian Terrace. 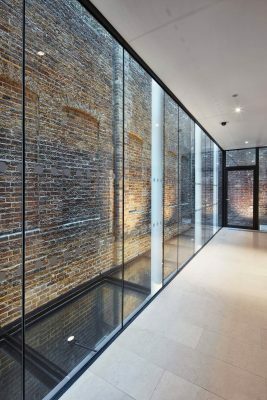 The brickwork to the rear of the terrace has been carefully refurbished, exposed in full for the first time in over a hundred years – earlier subsequent developments having been built up against its blank rear wall. 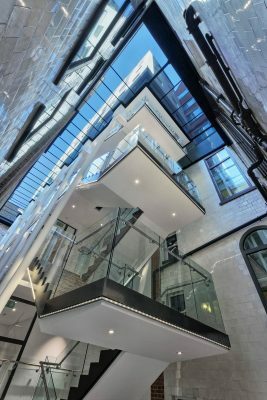 The circulation space is enclosed by a glass roof, above which the new white brick rear elevation, facing Pickering Place, rises. The offices themselves offer square floorplates with views over St James’s Park and the London skyline beyond. 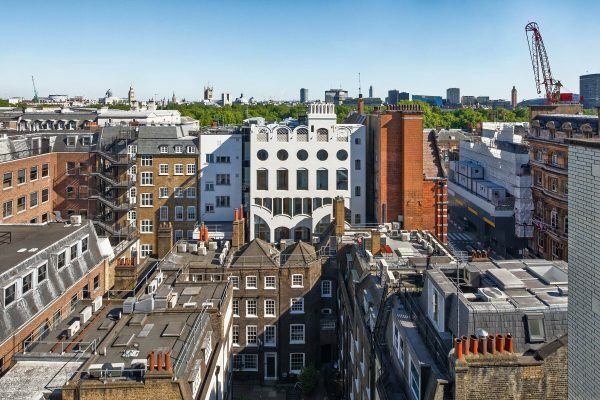 There are a number of adjoining buildings in the same ownership and this is most evident at the basement levels where a network of buildings are interlinked. 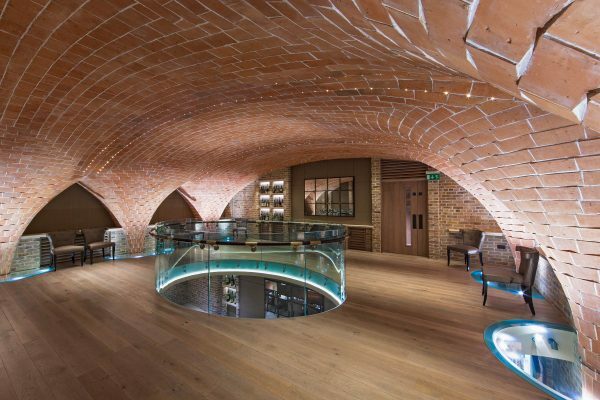 Over the years BB&R have re-invigorated their wine cellars by transforming them into hospitality spaces. In a further development of this process a brand new cellar – the Sussex Cellar. 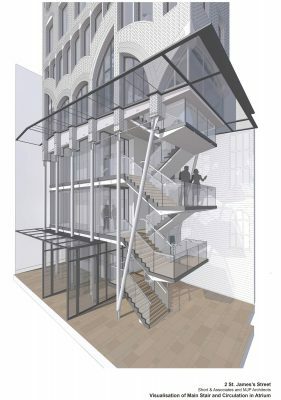 A new subterranean double height hospitality space has been created, with a tiled fan vaulted soffit, inspired by the Gaustavino brothers, and a mezzanine. 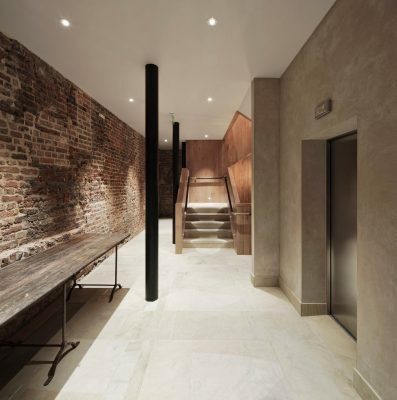 A new commercial kitchen is also incorporated at sub-basement which re-organises existing facilities and allowed the renovation and expansion of the ‘Napoelon Cellar’ at the base of the Alliance Assurance building. Access to the Napoleon Cellar has also been enhanced as part of the re-organisation – a lift giving wheelchair access to the vaults in a dignified way for the first time. The project has been developed in conjunction with Short and Associates, who gained planning permission in 2008.